Among the most prolific of authors, with more than five hundred books to his credit, Isaac Asimov was a master of the popular science, science fiction, mystery, and fantasy genres. Among his most beloved works are the Foundation series and the Robot series. The Foundation novels explore the destruction and rebirth of an enormous interstellar empire in a future universe, while the Robot novels chronicle the unlikely partnership between a New York City detective and a humanoid robot living in a future in which humans have colonized 50 planets. In 1964, the Science Fiction Writers of America voted his short story "Nightfall" the best short science-fiction story of all time. 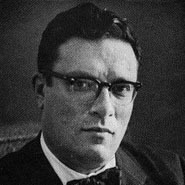 The son of Orthodox Jewish parents, Asimov defined himself as a humanist and a rationalist.